I always like the way these turn helmets out, but I’m a bit sick of knitting them right now, haha. I need a break. 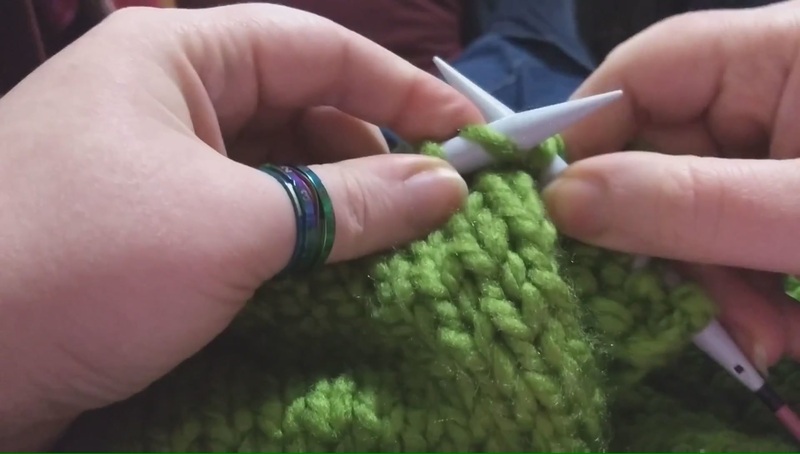 (Project pages on Ravelry are here and here.) 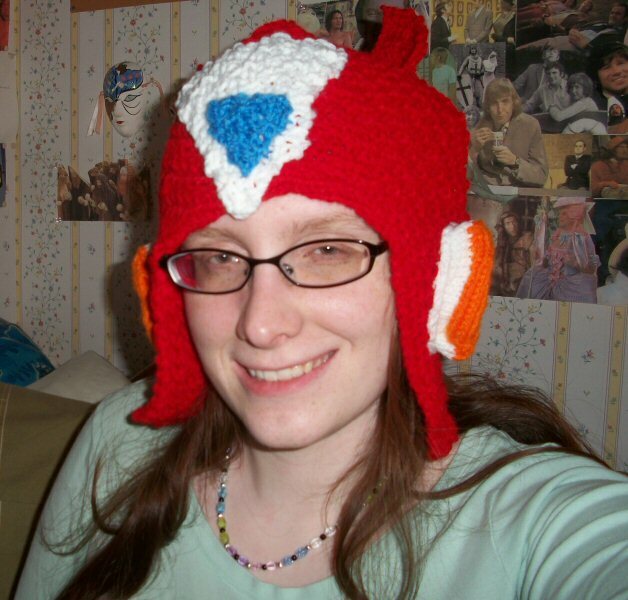 While I enjoy the pattern, after knitting nothing but it for weeks on end–these are the second and third times in just over a month I’ve made it: the Mega Man X hat is also the same–I got sick of it. Part of it is because each is knit flat and then seamed up the back, but I think the main problem is the detail which necessarily goes into them to make them actually look like the characters’ helmets. Never mind the fact that I had to wait to finish them until I could run out to the store to buy orange yarn…! It’s crazy; I have an incredible amount of yarn in my stash, but not even one skein that was true orange. I didn’t want to be inaccurate, so off to the store I went. Now, I’m onto making two plushies: a green Luma from Super Mario Galaxy and a Flammie from Seiken Densetsu! I haven’t made either of these before, and the change will be much appreciated. I can’t believe that I honestly have ten things (nine orders) lined up in my queue. I’m so excited! It feels good to honestly get my business off the ground, and to be certain I have made the right choice. Right now I’m working on the second of two Zero helmets. These things are really time-consuming, but the results are worth it. They have a very helmet-y shape and I’m always happy with the way they look. Still, though, I can’t wait until I’ve moved on down through my queue a bit, heh. I get excited just thinking about taking more on.